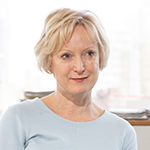 Prior to joining Monitor, she was Regional Chief Nurse and Nurse Director for the Midlands and East region of NHS England, where she championed the ‘Stop the Pressure’ campaign, which nearly halved the number of pressure ulcers in the region, improving care for patients, as well as delivering cost savings to the NHS. Ruth is passionate about nurturing the next generation of NHS nursing, midwifery and AHP leaders, encouraging professional development opportunities and working across the health system to put in place the optimal cultural conditions for all NHS employees to thrive. This includes advocating for improved mental health awareness in the workplace, championing volunteer activity to support the frontline workforce and being a vocal supporter of the WRES agenda and increased diversity across the NHS.